Despite their fears of leaving home and the sacrifices that their families would face, the women joined the team. And as Babb coached the Cardinals, something extraordinary happened. These remarkable athletes found a passion for the game and a heartfelt loyalty to one another and their coach--and they began to win. 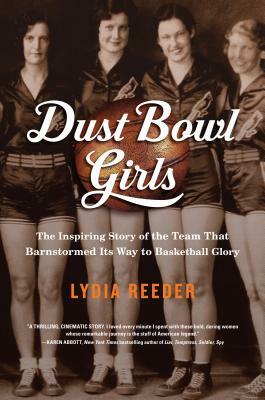 Lydia Ellen Reeder is the grandniece of Sam Babb, the extraordinary basketball coach featured in Dust Bowl Girls. She spent over two years conducting research for the book and also wrote and narrated a short film about the Cardinal basketball team, currently on view at the Oklahoma Historical Society website: youtu.be/fokmbnWmp50. As a former associate editor at Whole Life Times in Los Angeles and Delicious Magazine in Boulder, Colorado, Reeder has worked for many years as a copywriter and editor on behalf of corporate and organizational clients and most recently developed e-learning for a national nursing association. She lives in Denver with her husband and enjoys hiking in the mountains of Colorado. Dust Bowl Girls is her first book. “Long before the influence of Title IX, a small college in Oklahoma, under the direction of a volunteer coach, was actively involved in recruiting women athletes. Based on extensive research and told with the talented storytelling ability of the author, Dust Bowl Girls is an important and enjoyable story."